I'm thrilled to share with you my newest free pattern: an airy and light-weight scarf, the perfect accessory for the beautiful Spring season! Just look at that gorgeous ombre of mint, turquoise, and deep jade green! 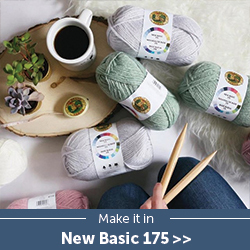 I used less than one skein of Shawl in a Ball® Yarn from Lion Brand Yarn. The color I used is called 'Jade Pool' (pretty good name, wouldn't you say?) and so I've decided to name this the 'Jade Pool Scarf'! And... can I just say that I love how this light scarf is not only suitable for warmer weather, but it also adds a nice pop of color and lacy texture to any outfit? One can never have too many scarves, in my opinion!! The shell stitch that I used in this pattern is repetitive and simple to get the hang of, making this scarf a really quick and easy project. 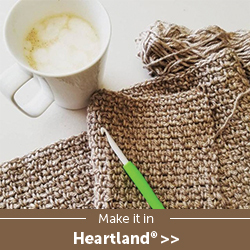 The length can easily be increased by crocheting additional rows. The Jade Pool Scarf is the perfect springtime accessory! It is light and airy, and it adds a beautiful pop of color and lacy texture to any outfit! 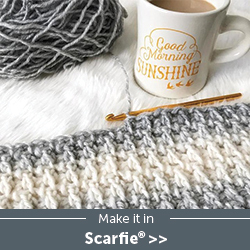 The shell stitch that is used in this pattern is repetitive and simple to get the hang of, making this scarf a quick and easy project. 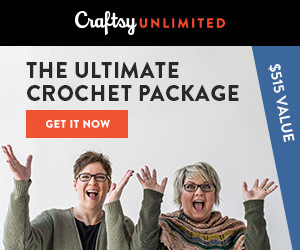 Length can easily be increased by crocheting additional rows. Instructions for increasing the width are also included in the pattern notes. Crochet this beautiful scarf as a lovely gift, or for yourself! Familiar beginner. Requires familiarity with the stitches used (below). 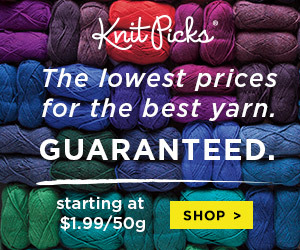 Note: I used less than one skein of Shawl in a Ball® Yarn from Lion Brand Yarns. Begin with your 6.00mm hook. R4: Ch 3, turn. Dc 2. Skip 2 sts. (Work a shell in the next st, sk 4 sts) x 4. Work a shell, sk 2 sts. Insert a dc in each of the last 3 sts. R5: Ch 3, turn. Dc 2. (Work a shell in the ch-3 sp, sk 4 sts) x 5. Insert a dc in each of the last 3 sts. R6: Ch 3, turn. Dc 2. (Work a shell in the ch-3 sp, sk 4 sts) x 5. Insert a dc in each of the last 3 sts. R65: Ch 3, turn. Dc 2. (Dc 5 in next ch-3 sp) x 5. Insert a dc in each of the last 3 sts. Love the Jade Pool Scarf pattern? You might enjoy these other FREE clothing accessory patterns. 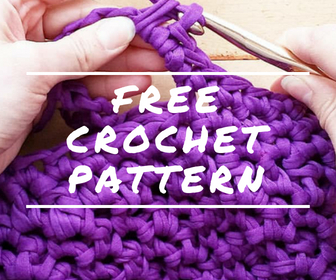 Simply click on the image below for the pattern, or check out all my free patterns here. Posted to my crochet group. It's so lovely in Red Heart Super Saver Ombre: Scuba....the blended blues came out nice. Thank you! Aww, thank you SO much, Dee! Sweet of you <3 And 'Scuba' looks so lovely; a blue one of this must be gorgeous! This is beautiful! I love the color! 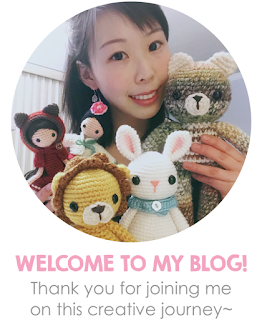 Thank you so much, Michelle! I love this turquoise color too! !